Part 3 is now up on the Sportz Broz. 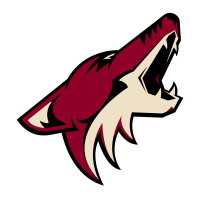 It features the Washington Capitals, Phoenix Coyotes and New Jersey Devils. Although most of the hockey talk in Pittsburgh right now is regarding the uncertainty of Jordan Staal’s future with the Penguins, the organization made an interesting roster move in the goalie department that I think should garner plenty of attention: the signing of veteran goaltender Tomas Vokoun. The Washington Capitals traded Vokoun, an impending unrestricted free agent, to the Pittsburgh Penguins for a seventh-round pick in the 2012 NHL entry draft. The deal is for two years and worth $4 million. *There are currently 14 backup goalies who are either restricted or unrestricted free agents this offseason, so Vokoun’s contract may not end up the biggest by the time next season rolls around. Minus the 14 backups without a contract right now, the average salary for backups in 2012-13 will be $1,910,937. And that number is skewed by the $3.7 million due to Nikolai Khabibulin of the Edmonton Oilers this upcoming season. * If you remove Khabibulin’s salary from the mix, the league average will be $1,788,333 — and that makes Vokoun’s contract $211,667 more than the league average. *Khabibulin was technically the starter at the beginning of last season until his numbers dropped off in midseason. So if Devon Dubnyk signs a new contract, he will be the starter this year leaving Khabibulin to be an expensive backup (if he doesn’t retire). Is Vokoun really worth that much money to ride the pine for the majority of the season? After all, the Penguins are ranked dead-last in the NHL in cap room coming into 2012-12, and stars Sidney Crosby and Staal are due contract extensions after next season. In Vokoun’s 14-year NHL career, he has a .917 save percentage, a 2.55 goals-against average and an overall record of 287-284-78. In his best season, he went 36-18-7 with the Nashville Predators. He was an All-Star in 2004 and 2008 and he is currently ranked 6th in career wins among active goalies with 287. Johnson went 6-7-2 with a .904 save percentage and averaged 2.63 goals against. At times, he was very good, but his collective work was pretty difficult to watch. He seemed lost and allowed soft goals with regularity. And toward the end of last season, it seemed as if the Penguins had lost all confidence him, allowing rookie Brad Thiessen to make the backup starts for a while. Management said that Johnson was suffering from flu symptoms for a while and also claimed he had an injury — two reasons that sidelined him and necessitated the call up of Thiessen. But I’m willing to bet Johnson’s unimpressive starts played into the reasoning for the call up just as much as his illness and injury. Johnson’s struggles seemed to affect starter Marc-Andre Fleury down the stretch. Fleury started 64 games and played in 67 this season and he never claimed that he was worn down from playing in that many. But No. 29 certainly wasn’t his normal phenomenal self from the middle of March on this year. 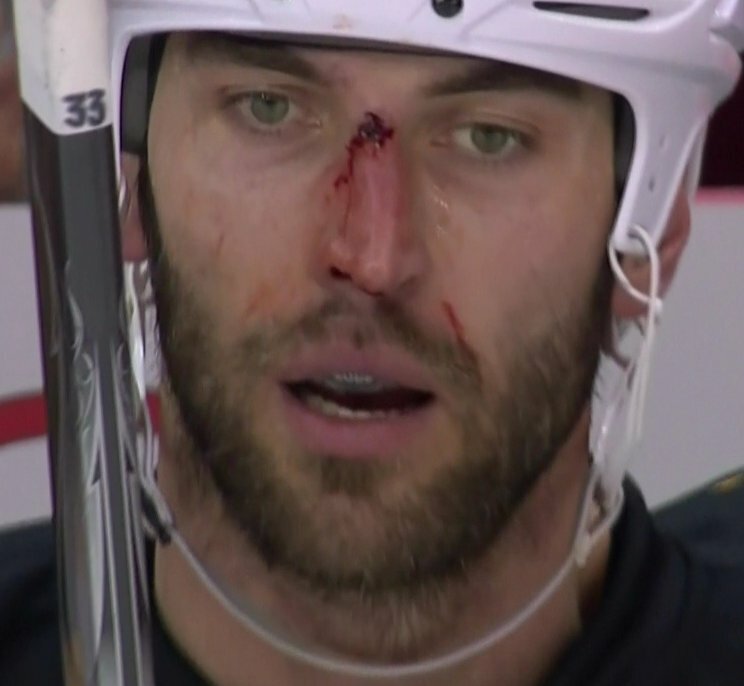 It’s my guess that Marc-Andre was affected by multiple factors. He had to be worn out from playing so much, but I think he may have also felt more pressure to go out there and perform more often because of Johnson’s struggles. He may have been pressing to get wins because he knew that Johnson just wasn’t getting the job done in his absence. In 2009 when Marc-Andre won the Stanley Cup, he started 61 (and played in 62) games in the regular season, notching a record of 35-18-7. He was backed up by the trio of Dany Sabourin, Mathieu Garon and John Curry. The three finished the season with a collective record of 10-10-2. As you can see, there wasn’t much difference in the number of games Fleury played in this season compared to ’09. But Fleury was three years younger and he had a better team playing in front of him. He didn’t have as much pressure on his shoulders to be lights out every night because he didn’t have to be. The defensive core and the team defense shouldered the load more. Fleury will probably never admit that he was worn out, even if Shero and the rest of the Penguins believe he was. But one thing is apparent, teams that have a great No. 1 and a solid No. 2 have had some outstanding seasons lately. Last year, it was the Boston Bruins. Tim Thomas was their most important contributor, capturing a Conn Smythe en-route to a Stanley Cup victory. But he also had one of the best backups in the league in Tuukka Rask. Thomas notched 35 victories in each of the last two years, with Rask winning 11 in each of those years, as well. 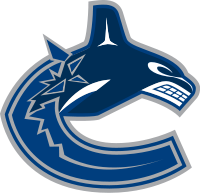 The Vancouver Canucks further illustrate the point. Roberto Luongo has been outstanding the last two years, leading his team to a Stanley Cup Final in 2010-2011 and a President’s Trophy this season. In those seasons, he registered 38 and 31 wins, respectively. And in both of those seasons, he was backed up by Cory Schneider, who claimed 16 and 20 wins. Because both were impact guys, they took the pressure off of each other to perform and kept each other fresh for the long haul. Will the duo of Fleury and Vokoun be the next great pair in the NHL? I’m guessing probably not. But that doesn’t mean the two can’t support each other enough to win a Stanley Cup. As I mentioned earlier, Fleury didn’t have the greatest of backups in his Cup victory season, but he still won it. Adding Vokoun is a step in the right direction, but the team playing in front of the two will ultimately determine how hard the goalies will need to work between the pipes. If the Penguins defensive coverage is as bad as it was in the playoffs this season, then it won’t matter who the two goalies are, they won’t be good enough to lift the Cup next June. But if the defense can play even slightly better, while Fleury is back to his normal, stellar self with Vokoun being a solid, better-than-.500 goaltender while playing 20-25 games, the Pittsburgh Penguins can return to the glory of ’09. If all of this will happen remains to be seen, but I’m excited to find out. 10. The Detroit Red Wings record setting 23-straight wins at home. I know at first, it isn’t that hard to believe. There is a strong tradition of winning in Detroit and fan support there is always amongst the top in the league. But consider how long this record lasted before this season. 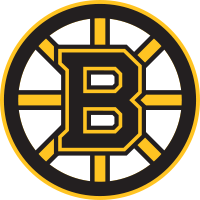 The last team to hold the record was the Boston Bruins (22 straight) during 1929-30 and ’30-31. In those days, professional hockey was a much different game. Stars played entire careers with one team and dynasties were more frequent. The current game is ripe with parity and regardless of who you play, there’s always a chance of suffering a loss. You also have to consider that during the streak, Detroit didn’t have their No. 1 goalie Jimmy Howard for a number of games during the final stretch. Howard’s fill-in – Joey MacDonald – won six straight to help break the record. For a backup to achieve a streak like that in pressure situations is pretty admirable. 9. The Buffalo Sabres are out of playoff contention. After last season, owner Terry Pegula vowed to spend heaps of money to turn Buffalo into a Stanley Cup contender. To sure up the blue line, he signed Christian Ehrhoff through 2021 at a cap hit of $4 million. He also brought on Robyn Regehr for about the same price through 2013. If that wasn’t enough, Pegula snapped up Ville Leino from Philadelphia to increase goal scoring at the hefty price of $4.5 million through 2017. It seemed that Buffalo was going to be a real contender in the 2011-2012 season. But so far, they have been a disappointment. They are currently 11th in the Eastern Conference. The stars Pegula brought in are having down years and their best player, goaltender Ryan Miller, just hasn’t looked himself for much of the season. He has had some injury problems and the backup Jhonas Enroth hasn’t been able to help during Miller’s absences. The Sabres still have a shot at making the postseason, but the team really needs to turn up the intensity in its remaining 17 games. 8. Concussions are increasing at a high rate. This is just a sample set of the players who suffered concussions this season so far: Sidney Crosby Claude Giroux, Mike Richards, Michael Sauer, Jeff Skinner, Joni Pitkanen, Kris Letang, Chris Pronger, Zbynek Michalek, Robert Bortuzzo, Jay Beagle, Milan Michalek, Brayden Schenn, Radek Martinek, Marek Zidlicky, Nathan Gerbe, Nicklas Backstrom, Ryan Miller, James Reimer and Jonathan Toews. Brendan Shanahan, the director of player discipline, has handed out his fair share of suspensions stemming from concussion-causing hits this season, but obviously the suspensions and the rule expansion haven’t done enough to take head-shots out of the game. 7. The Philadelphia Flyers are the highest scoring team in the NHL. This past offseason, the Flyers gutted the scoring of their team. 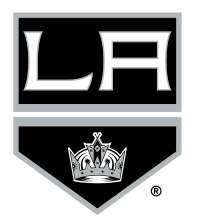 They sent their captain Mike Richards to Los Angeles. From 2007-2011, he averaged 28 goals, 42 assists and 70 points per season. The Flyers also sent center Jeff Carter to the Blue Jackets. From 2007-2011, he averaged 36 goals, 30 assists and 66 points per season. And not to go unnoticed, Philadelphia also lost Ville Leino to Buffalo. Last season, he scored 19 goals, 34 assists and 53 points. It seemed that the Flyers were losing a ton of firepower to free up cap room to sign goalie Ilya Bryzgalov. But despite those players and their juicy numbers going elsewhere, the Flyers have still averaged 3.25 goals per game. They have scored 208 goals this season, six more than second ranked Boston. The Flyers have managed to climb to the top of the scoring list by getting help from a number of different players. Scott Hartnell leads the team with 31 goals, followed by Claude Giroux’s 23 and 22 from Wayne Simmonds. Currently, the Flyers have 10 players with 10 or more goals. 6. Tampa Bay is 10th in the Eastern Conference. Last year, the Lightning was the team to beat in the postseason. After recovering from a 3-1 deficit against Pittsburgh, Tampa Bay surged to win three straight to win the series. Then they easily swept Washington in the second round. And in the Eastern Conference finals, it took the eventual Stanley Cup champion Bruins seven games to finish off the Lightning. Steven Stamkos was coming into his own (and is currently the league leader in goals (47) and points (80)) and the veteran leadership of Martin St. Louis and Vincent Lecavalier is still there. So what is so different between this year’s team and last year’s? Somehow, Dwayne Roloson was outstanding last season with the Bolts, especially in the playoffs. Everyone predicted that the 41-year-old net minder was too old to carry the team, but that’s exactly what he did. Now, it seems that his age has finally caught up to him. Add in the fact that the Tampa Bay blueliners are relatively poor and haven’t provided their goalies with much help all season long. But even though the situation for Tampa has looked dismal for most of this season, they remain only two points out of a playoff spot and six points back of the Southeast Division lead. 5. 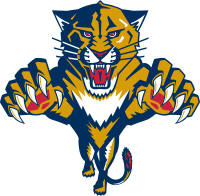 The Florida Panthers may win the Southeast Division. The Panthers haven’t made the postseason in 10 years. It is the longest drought in all of hockey. Although the Southeast Division is shaky at best, the winner will reap the benefits of a No. 3 seed in the Eastern Conference of the Stanley Cup playoffs. The Panthers have led the division for the majority of the season. Over the past few weeks, the position has wavered, allowing both the Winnipeg Jets and the Washington Capitals to claim the top spot for a few games. But the fact remains that the Panthers have been the best team in that division for the majority of the season and they probably deserve to win the Southeast. Florida has been led by the stellar scoring line of Stephen Weiss, Tomas Fleischmann and Kris Versteeg. Collectively, the three have scored 58 goals, 83 assists and 141 points. And even though the goaltending staff had to mix and match because of injuries (starter Jose Theodore has started only 37 games) it has managed to win 30 games between Theodore, Scott Clemmensen and Jacob Markstrom to post a solid .915 save percentage and a goals against average of 2.64. Those numbers may just be good enough for a division win come April. 4. The Washington Capitals are on the verge of missing the playoffs. For starters, Vegas gave the Caps 7/1 odds of winning the Stanley Cup before the season. 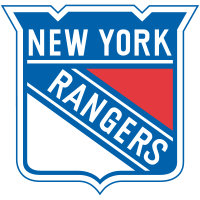 The only other team given the same odds was the Vancouver Canucks, which came within a game of winning Lord Stanley’s hardware last season. The Caps were favorites for a win because of their scoring depth, with guys like Ovechkin, Semin and Backstrom. They also had a solid defense with outstanding blue liner Mike Green and experienced veterans Dennis Wideman and Roman Hamrlik. Goaltending seemed like it could be an issue, but Washington management was confident that sending their previous starter Semyon Varlamov to Colorado wouldn’t hinder the 2011-2012 season because of the young talent of Michal Neuvirth, Braden Holtby and acquired veteran Tomas Vokoun. But unfortunately for Washington, this season has been sub-par at best. They are ranked 21 in goals against per game and they rank 13th in goal scoring. After an 8-0 start, Washington has won more than two games in a row only three times this season. But because the Capitals are in the weak Southeast Division, they still stand a chance at making the playoffs and are currently only one point out of the playoff picture. 3. The Flyers goaltending woes continue. They Flyers haven’t had a dependable goaltender for close to a decade. After last season, the Flyers organization decided it had enough and on June 23, 2011, Philadelphia signed Ilya Bryzgalov to a nine-year, $51 million contract. The length of the contract was unprecedented for goalies in the NHL, but the Flyers had good reason to think it was a good move. Bryzgalov was the runner-up for the Vezina Trophy and a top-5 finalist for the Hart Trophy in the 2009–10 NHL season. His career goals-against average was an admirable 2.39 and his career save percentage was .915. He had also won more than 150 games in less than 10 seasons in the NHL. When the Flyers signed him, he was easily in the top-10 of goalies in the NHL and perhaps even the top five. But this season has not been kind to Bryzgalov. Although he has 23 wins this season, his save percentage is a paltry .898 (the worst of his career) and his goals-against average is 2.79, the second worst of his career. Bryz hasn’t looked comfortable between the pipes in Philly this season. And in the Winter Classic against the New York Rangers, Flyers coach Peter Laviolette elected to start last year’s No. 1 goalie, Sergei Bobrovsky. Bryzgalov was clearly upset with the decision and it was a clear sign that the team’s confidence in him has wavered. Philly still has a solid team with the most scoring in the league, but if Bryzgalov cannot find his mojo before the playoffs, the Flyers Stanley Cup hopes just may fade away this season. St. Louis has been a perennial bust. They have not won a playoff game since 2003-2004 and they haven’t won a playoff series since 2001-2002. The team also has not qualified for the playoffs in five of the last six seasons. 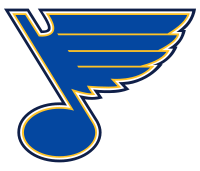 But this season, after a 6-7 start that left St. Louis in 14th place in the Western Conference, the Blues fired head coach Davis Payne in favor of Ken Hitchcock, a man with more than 1,000 games of coaching experience and the 4th Blues head coach since 2006. 1. Brian Elliott’s phenomenal year. No one could have predicted the year that goaltender Brian Elliott is having. His save percentage of .937 is second in the NHL and his goals-against average of 1.63 is tops in the league. The 26-year-old goalie also ranks third in shutouts with six. These stats are drastically better than his career numbers. 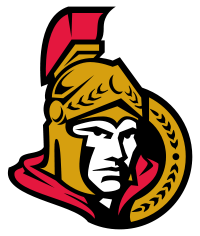 In Elliott’s first four seasons – the majority of which were with the Ottawa Senators – his average save percentage was .912 and his goals-against average was 2.67. Elliott has only 20 wins this season, but that is only because he is effectively splitting time with Jaroslav Halak, who is having a tremendous season of his own. With these backstops holding the fort in St. Louis, who knows what the Blues will be capable of in the Stanley Cup playoffs.